If you haven’t booked your summer holidays yet, don’t rush! Mark this date on your calendar: 02.07.2017. ERDHLEZETI is already a traditional Kosovan festival, gathering hundreds of people in the capital to embrace the summer and say goodbye to winter. 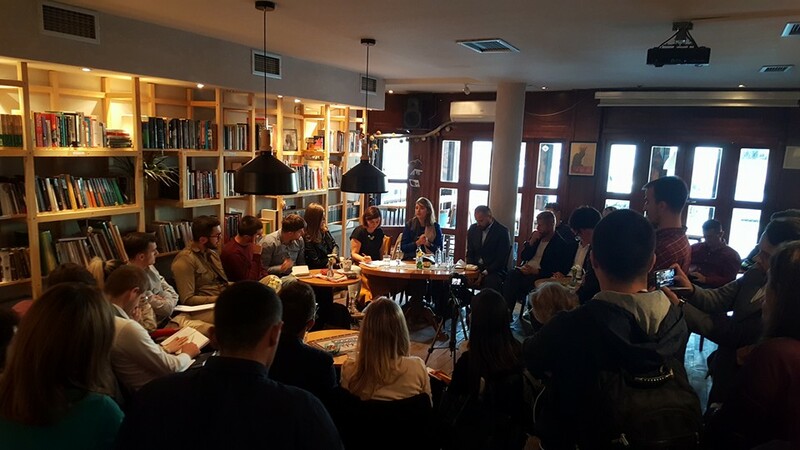 It is the third year that the festival offers truly special performances in the centre of Prishtina at the parking space just in front of Dit’ e Nat’ café-bookstore. The festival is known for its ‘block party’ atmosphere and festive spirit, where carefully selected performances meet the energy of the celebrating audience, offering one of the most magical experiences of the year in Prishtina. Become part of it, too, on July 2nd from 14:00hrs! 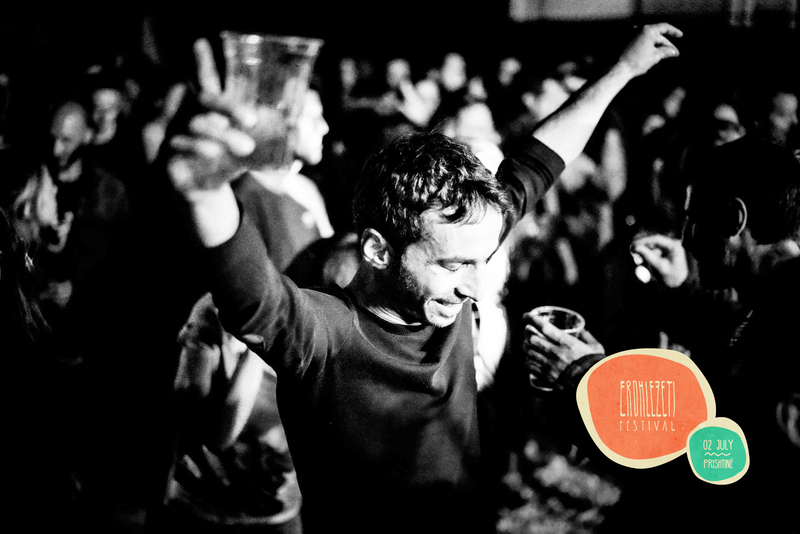 While the most successful outdoor music festivals take place outside of the capital, ERDHLEZETI gives you the opportunity to explore diversity through music and quench your cultural thirst in the middle of a midsummer Prishtina. 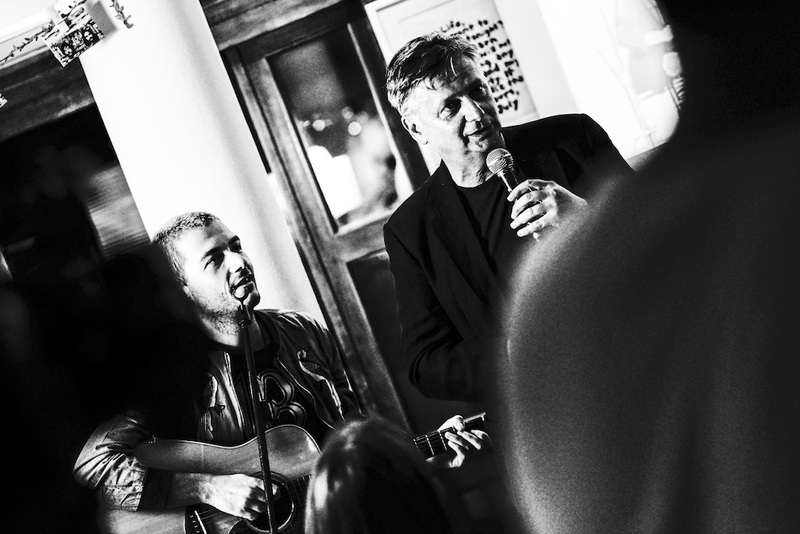 Every year the festival proudly includes at least one Kosovan act representing the best of the local music scene. This year it is Shpat Deda, the famous singer-songwriter, who has recruited some of the best albanian musicians this side of the border to form what can only rightly be described as a super band. ERDHLEZETI started as a celebration of cultural diversity, aiming to create space for performers influenced by the music of the region. This year this space belongs to Demir Kanturovski & Uska Kan Orkestra, a nine-piece brass band playing famous Roma folk songs arranged with a taste for jazz and pop. Also unmissable is Sazet e Përmetit, one of the only remaining Albanian ensembles that still play the old kaba music from Permet in the style of the legendary Laver Bariu. The final act will take you on a much more distant journey to Senegal. Kaira Kela from Zagreb bring their afrobeat show in town, filled with sunny African rythms guaranteed to make everyone dance, even the toughest of them. The tickets cost 3 euros and will be available at Dit’ e Nat’ and other locations very soon. Follow Erdhlezeti Festival on Facebook to stay in touch. It’s a block party! In an environment where it is getting harder and harder to organize festivals, ERDHLEZETI would be impossible without the support of our donors and sponsors. NGO Gaia in co-operation with Dit’ e Nat’ would like to extend a special thanks to The Ministry of Culture and The Municipality of Prishtina, also to the companies that are there for us every year pushing for the development of the cultural scene in Prishtina: Win Music Freedom, Birra Prishtina, Ciroc, Miqt Music, Travels, Ujë Rugove, Semitronix and KTV. Nesim Maxhuni is a pioneer of modern music styles in Albanian speaking region. Jazz, neo soul, gospel, hip hop are just some of the waters he comfortably swims in. He is a world class drummer and a collaborator in many prestigious local albums representing one of the main influences in Albanian music of today. 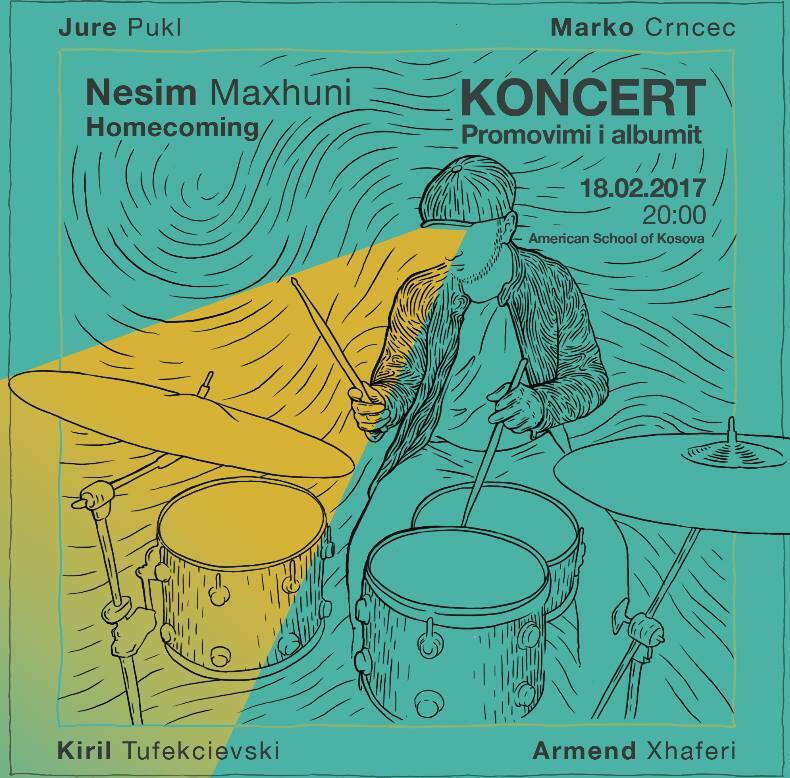 Maxhuni has already released two original albums in the past five years, Homecoming is his third album made of an incredible international team – a unique collaboration between Prishtina and New York. Homecoming will be promoted on the 18th of February 2017 at 8PM in ASK (American School of Kosova) – come and enjoy this hot constellation of geniuses! It was 2009 when dit’ e nat’ started the tradition of going crazy in the afternoon of the last day of the year. We see this as a great chance to leave stuff behind and wash the energy for the new year that awaits us. As far as we remember, there hasn’t been a stranger year than 2016. So let’s say goodbye to its last rays of cold sun with some happy and warm songs. 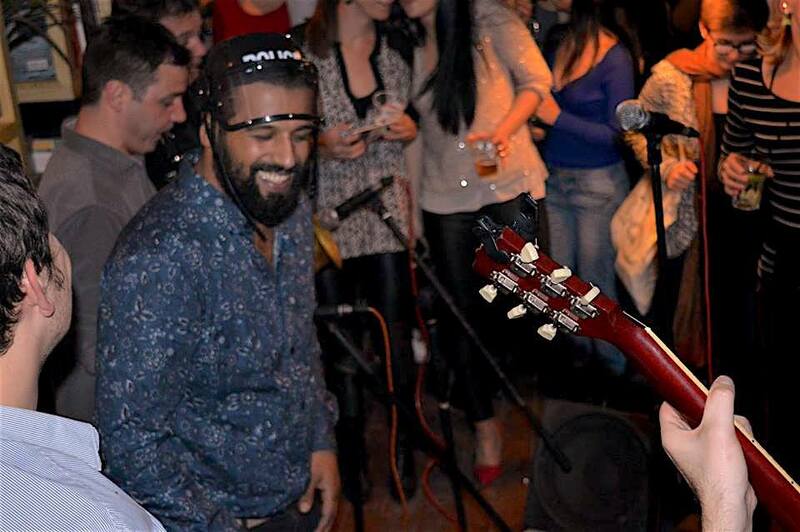 Gipsy Groove will be playing an acoustic set after which Genc Salihu and friends will join the usual end of the year jam. See you on the 31st at noon! It was the year of 2015 when we met Luis Panichelli, a Capoeira performer, who at the time was living and working in Prishtina. Soon a large group of musicians from various scenes and paths of life joined him in an incredible journey and begun experimenting by fusing local traditional music with Capoeira and gave birth to a brilliant album – KOSOVEIRA. Watch this short documentary and have a taste of this magical experience and process of making the Kosoveira album! Thursday evening marks the return of one of the most beloved singer-songwriters around: Visar Kasa. 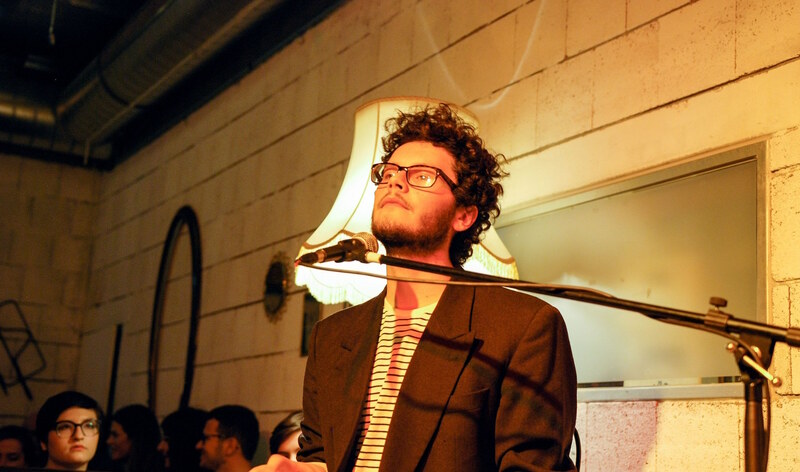 This time Visar will display the experience gathered as a student in the Vienna Conservatorium as a singer-songwriter and popular composer. He will be performing his set “Shadows” which he has developed during his stay in Vienna, and which consists of new songs unheard before in Kosovo. To enrich his sounds, Visar has invited Granit Paçarada on drums. The night will kick-off with the young and talented singer-songwriter Elena Kabashi who will perform a short acoustic set. See you on the 4th of August at 8.30PM in dit’ e nat’. 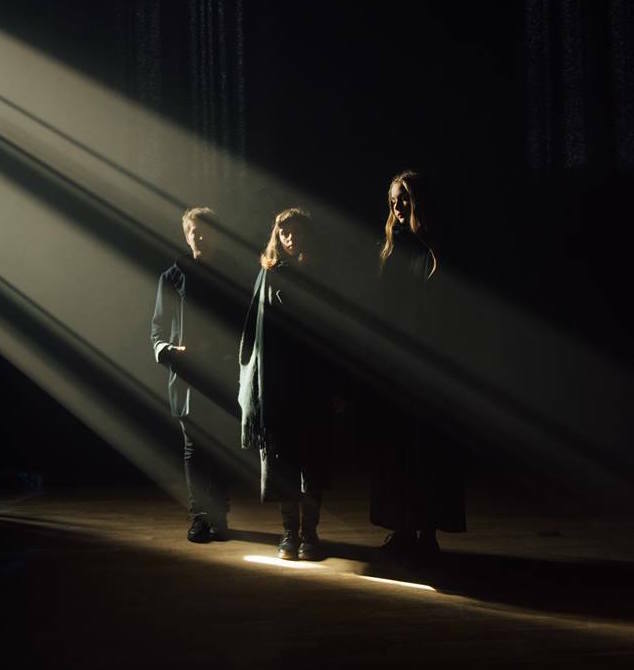 Join us this Saturday evening 9th of July at 9PM in our garden for a live performance from The Tape, a dreamy indie rock trio hailing from Gothenburg, Sweden. These girls create evocative soundscapes with hypnotic guitar loops and intense reverb; The Tape has established their own unique sound interwoven with conscious lyrics. Over the last three years the band has been taking over Gothenburg’s stages and played at numerous festivals in Sweden and Europe, gaining a reputation of always delivering a captivating live show. Chicago-based singer-songwriter, Hugh Trimble, moves with very organic story-telling through traditional American Folk. 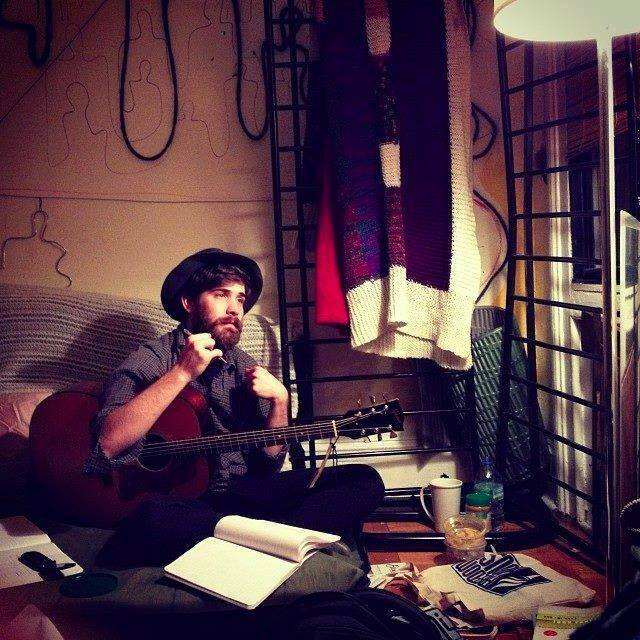 He wanders with ease in genres such as americana, celtic, indie rock and blues. See his premier Kosovo performance this Thursday (June 23) at Dit’ e Nat’ @ 9 PM. Join us for an evening with Eric Jarosinski, a former professor who has gone on to lead a very different life as a #FailedIntellectual online. 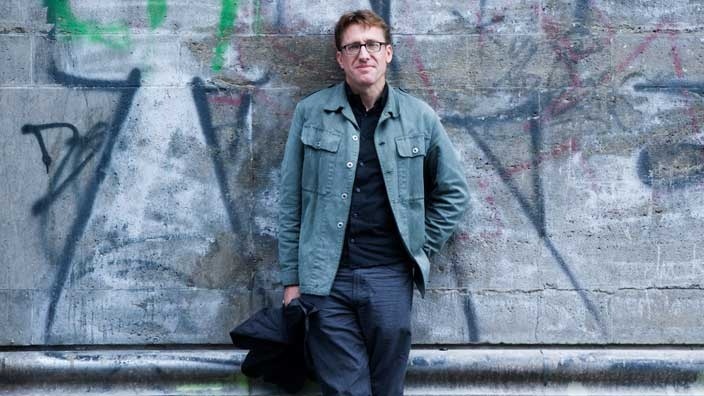 In exploring the comic potential of German language, literature, and philosophy on Twitter, his feed NeinQuarterly has gained a highly diverse global audience. In his talk, moderated by Agon Maliqi, Eric will address the potential (and limitations) of adapting traditional modes of philosophical thought to a new technology with its own complex language, codes, and conventions. Throughout, he will discuss a strategy not of simplifying or popularizing philosophy, but of demystifying its terminology, gently toppling its idols, and playfully unsettling its authority. The talk will take place on Thursday (2nd of June 2016) in dit’ e nat’.